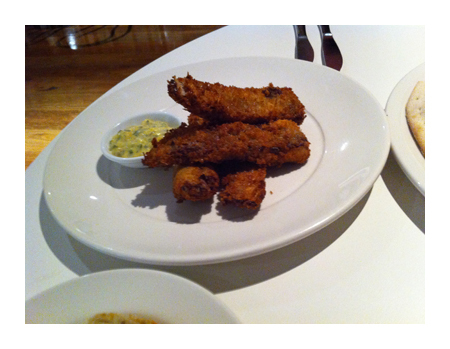 We're back at Chester White for dinner this time and we're exploring a little more of the menu. 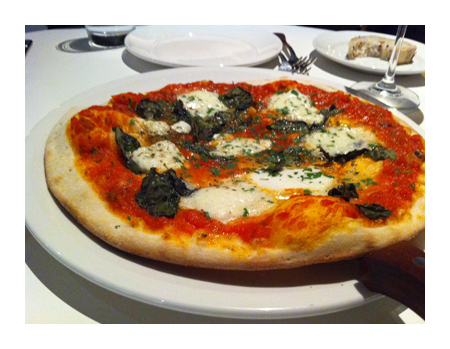 Margherita pizza makes for a good gauge on quality - there's not a lot to a Margherita but it needs to be done well. The most obvious fault are the fresh basil leaves - they have been cooked with the pizza, discolouring them and draining them of flavour. Fresh basil should be placed only on the cooked pizza just before serving to the customer. The pizza base is quite good, it is flexible and thin enough. The tomato is a little too wet so the center is soft and soggy. If the pizza was a little disappointing then these lamb ribs just about made up for it. Beautiful crisp coating over the softest of lamb and best of all you get all the flavour since its been cooked on the bone. The sauce gribiche was a perfect match. If you come here, you must order these ribs. This dish was one of specials of the evening so forgive my lack of details. 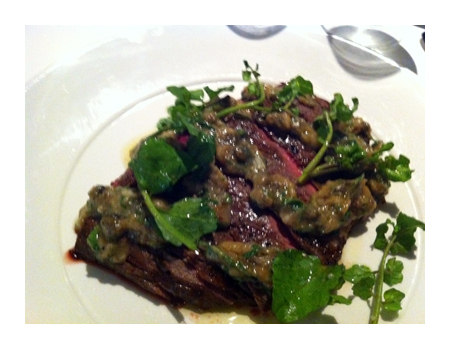 I do believe it was skirt steak served sliced like a Tagliata - the sauce was a capery-herb concoction. 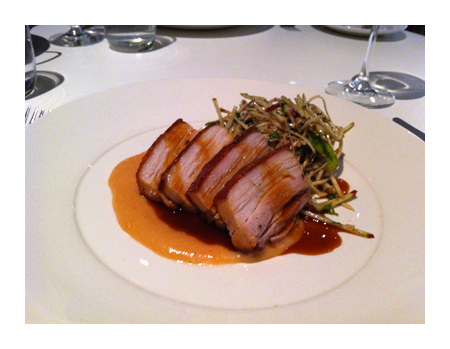 I opted for the signature pork belly dish and it was very well done. The belly was tender, the crackling was crisp but not too crisp, it wasn't too fatty - the quince aioli added a little tartness to offset the rich pork while the slaw was crisp and clean. 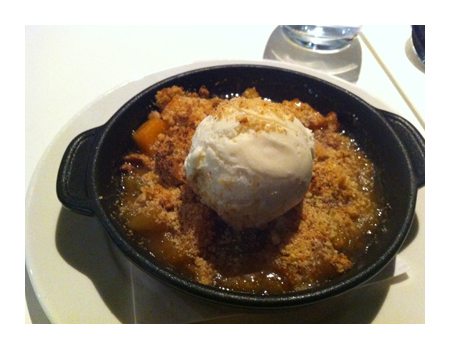 Probably not enough crumble topping for Paalo - but the roasted almond ice cream was amazing and tasted exactly as described. 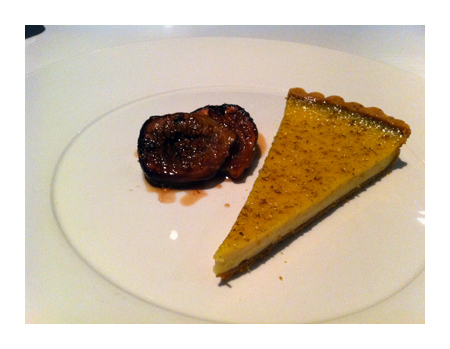 A lovely slice of custard tart served with roasted figs - delicious.